We have covered in the past on several occasions how leasing a copier for more than 3 years has no benefits to you the lessee and it is clearly a benefit for the salesman/saleswoman. Recently I struck a nerve on a sales director, he was angered that I am blogging & giving away their dishonest trade secrets from the dark side. There is no hiding it, copier salesmen are in it for one thing $$$$. Any doubt? try to call them after the sale and see how long it takes for them to call you back. I have been in this business for over 30 years, I have seen some real snakes, I mean, I am from New York and here… I have the opportunity to see dishonest salesman at work. I am not saying all are dishonest but I will let you try the figure out what percentage are not. He debated me on how leases are configured and mentioned the only way he sets up leases and the only “honest way” is to have a lease payment for the machine only and then to bill per click on a separate bill. So, the way his company sets up leases is, you the lessee will get two bills each month instead of just one. Now here are the real reasons salesmen set up leases this way. When you lease a machine for 5 years (you should never do this) and they lease just the copier to you separate from clicks, it is very easy for that salesman to do an early update. You see, first the snakes lock you in for 5 years (you cant get out of a lease) then he has a great opportunity to update you early because the residuals are nothing after 5 years! And trust me, as a veteran tech of 30 years and a business owner for 26 years, the way they’re making machines now from A to Z, you will want to do an early update. Did you understand that? this is the biggest reason they do this. 2. By keeping the copier and the service separate, the salesmen will be able to closely monitor your clicks, every print job you send, every copy job do generates clicks. Copier companies invest in expensive software to monitor your clicks $$. Salesmen get a piece of this if they’re overages involved and overages are very common. These two reasons are the only reasons why the snake oil salesman lock you into this type of lease arrangement. Now you know yet another tip on leasing copiers that you will not hear or read anywhere else. Why? because copier salesmen & copier companies are not going to tell you things that will cost a revenue loss. ie its taking profits off their plate. Times are changing and so are the ways we proceed in purchasing office equipment. Years ago, copy machines would last 12 to 15 years with no problems providing it was taken care of well. This is no longer the case, just like buying a dishwasher or refrigerator & televisions. Manufacturers are making them cheaper, lighter and more efficient, however, they are not made to survive 8 years without having more than enough issues. Copiers will run great for the first 3 years, after three years and X amount of copies, things will start failing and five to seven years is the maximum lifespan of a copier. So, with this being said, I recommend a 3 year FMV copier lease, the snake oil salesman will try to get you to take a five year lease, dont do it. Why would you want to be married to a machine for five years? or locked into a company for five years? what happens if the machine is terrible? what happens if the service stinks? I am hearing more and more that customers are waiting 3 to 5 days for service now! because the large dealers cutback on technicians because they were too busy cutting the competitors out to get the sale, now they are jammed up when any surge of service calls come in. Back to leasing, the salesman will win on 2 & 5 year leases, there is no real advantage for YOU to go this route, your best decision would be to go with a 3 year FMV lease that includes all but paper. It no longer pays to do $1.00 buy out leases, after the 3 years are up and if you buy it out for a dollar, you will be left with a pretty machine that probably will need a fuser unit $280.00 or a drum $375.00 and other parts like a PM kit, all this plus labor. Please be careful that you read everything, copier companies are getting desperate, after they cut their profits down to nothing just to survive, they are now looking for other niches to make up for this, so now they are charging for scans! So this is my tip, do a 3 year lease and make sure it is a FMV lease (fair market value), after 3 years are up, release a new copier, make sure the copier company you are dealing with absorbs the cost of sending your old machine back, dont let them charge you as this should be included with the sale. If they leave you hanging with this, you could pay up to $450.00 to send the copier back! More tips will be coming your way, please give us a call if you need a copier at a fair price and with excellent service. 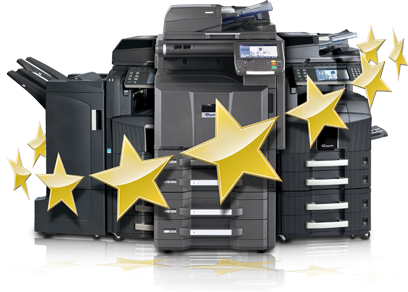 We are looking for good customers who want a copier at a fair price and excellent service. We will not go into bidding wars with companies that will ultimately give you 3 to 5 days service. I went up against a big Canon dealer here on Long Island, the customer gave me some paperwork to review and asked me if I can compete as my company came highly recommended. I saw that this competitor was very close on the numbers for the copier lease itself but then noticed that they charge for scans! It appears that a number of companies are doing this now. You see, they are cutting the cost per copy to compete against other businesses and then they stick the customer with scan charges! I remember the talk about this 17 years ago but nothing really came out of it because it was very obvious that something like this is just another way of “sticking it” to the customer. But yes, this past month I met with two different customers who are using a very large, well known Canon dealer and another big Sharp dealer here on Long Island that were victims of this ridiculous fee of charging for scans. You see, the big copier dealers are desperately trying to survive as the average customers yearly volume is dropping because of more paperless technology and E fax and going green that they are seeking another “niche” to stick it to the customers. Don’t worry, at PJD Business Machines (Long Islands Copier Sales Company) we never did nor will we ever charge for scans. Feel free to contact us and we can put you in the right lease for your company, if it is a desktop copier or an 80 cpm full blown copier, our sales team is here for you and will work out the best deal possible. Remember the old saying, if it looks too good to be true, then chances are it is. Beware of the Snake-oil Salesman! Brand New Copystar Copier and a secret deal I am doing right now! You will not see this ever at this price anywhere else, this machine is a good machine and it replaced the infamous Copystar CS300ix. If you liked the CS300ix series, you will LOVE this, the document processor is better! visit us on the web @ http://www.longislandcopiersales.com and ask for Phil, he will be the only one besides You that knows of this deal. Spring Ahead Sale, sorry, being on Long Island this Winter has me going crazy so…. I can not wait for Spring and we will start early!!!! BIG SPRING SALE GOING ON NOW! ALL COPIERS IN STOCK REDUCED!!!!!!!! !